The name “Zhejiang” literally means “Crooked River” but trust us; there’s nothing crooked about this natural paradise! It derives from the province’s principal river, the Qiantang River, which was historically known as the Zhe Jiang. Since it’s a coastal province that is riddled with numerous rivers large and small, you’re never too far away from water and so its aquatically inspired name seems all too fitting. It is bound by the East China Sea to the east, and its provincial capital of Hangzhou is renowned as one of the most charming cities on earth. 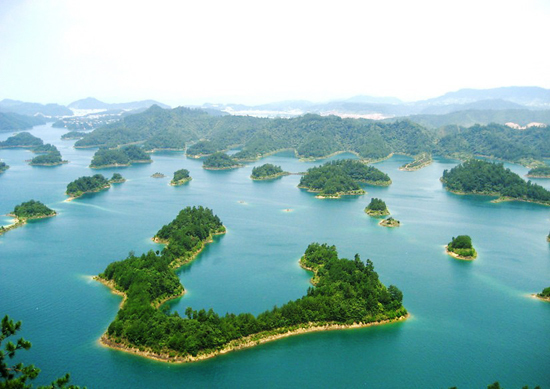 With that in mind, we’re sure you’ll all agree that Zhejiang has a pretty strong pedigree when it comes to tourism. After all, who doesn’t love sandy beaches, bubbling canals, and fresh sea air? As with many coastal provinces, there is a rigid north-south divide when it comes to geography and climate. The northern section of the province, often referred to as Zhebei, rests within the Yangtze River delta and is made up of labyrinthine rivers and canals. South of Hangzhou Bay, the terrain becomes distinctly more mountainous and its rocky coast is littered with more than 18,000 islands. The eastern part of the province is dominated by these mountain ranges, which are a continuation of the ones in Fujian province. The entrance to Hangzhou Bay itself is incredibly broad, but is obstructed by a cluster of over 400 islands known as the Zhoushan Archipelago. The largest island in the group is Zhoushan, but perhaps the most famous is Mount Putuo, which rests just east of it and is one of the Four Sacred Mountains of Buddhism. It has been a pilgrimage site for centuries, providing Buddhist monks with a place to worship while simultaneously working on their tan! Zhejiang’s coastal position means it also benefits from a humid subtropical climate, with highs of up to 29 °C (84 °F) in summer. The only marked difference between the north and south is during winter, where temperatures in the north can drop to 4 °C (39 °F) while those on the southern coast maintain a mild 8 °C (46 °F). Springs and summers are profoundly rainy, while winters are short, and autumns are characterised by dry, warm weather. 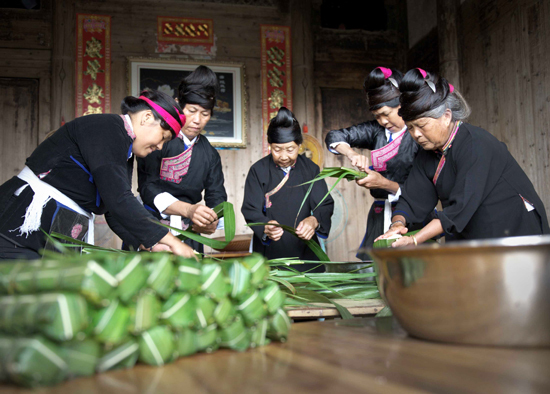 In terms of people, the vast majority of Zhejiang’s population belongs to the Han ethnic group, although there is a substantial constituency of the She ethnic minority living in the mountainous southern regions. Before the 8th century BC, western Zhejiang was part of the State of Wu, while its eastern territory belonged to the ancient Yue people. By the 6th century BC, these two sub-regions had developed into fully fledged rival kingdoms and continually warred with one another from 510 through to 473 BC. And you thought your neighbours were bad! The Yue eventually conquered the Wu but were subsequently annexed by the State of Chu in 334 BC, who were in turn subjugated when the State of Qin unified China in 221 BC. Back then, having a kingdom was like playing a game of musical chairs! During the Three Kingdoms Period (220-280 AD), Zhejiang became part of the State of Dong or “Eastern” Wu and benefited greatly from an influx of northern immigrants, who were fleeing the invading Mongolians. During the Tang (618-907) and Song (960-1279) dynasties, the province was subdivided into Zhexi (Western Zhejiang) and Zhedong (Eastern Zhejiang). 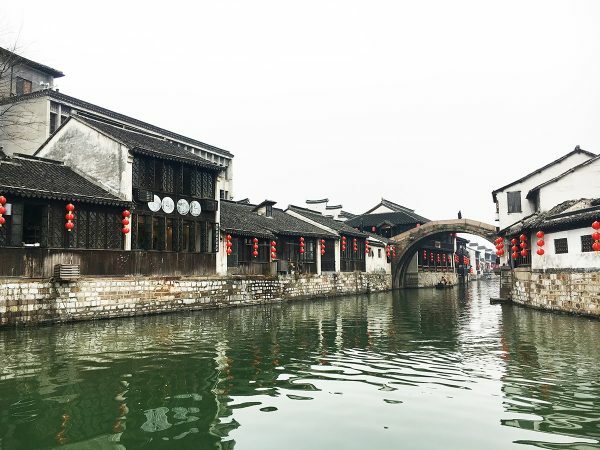 Its oldest surviving city, Shaoxing, dates back to around about this time, as it was established during the 6th century. Lin’an (modern-day Hangzhou) was eventually made the capital of the Song Dynasty and subsequently grew rapidly, reaching an estimated population of nearly one million people by 1275. At around about this time, Marco Polo visited the city and described it as the finest and noblest in the world. High praise indeed! From this point onwards, Zhejiang and its neighbouring Jiangsu province became synonymous with opulence, wealth, and luxury in China. However, modernisation of its cities didn’t truly begin until after the First Opium War (1839–1842), when Ningbo was opened to unrestricted foreign trade as part of a contract between China and Britain known as the Treaty of Nanking. Nowadays this foreign influence can be seen most profoundly in the Western features found in architecture throughout the province. In its time, Zhejiang spawned numerous famous painters, calligraphers, poets, essayists, philosophers, and historians. Landscape artists Xia Gui and Ma Yuan, novelists Lu Xun and Mao Dun, and poets Xu Zhimo and Ai Qing were all born here. In keeping with this illustrious artistic heritage, the city of Ningbo is home to the Tianyige, the oldest private library in China and one of the Four Famous Libraries of Chinese Classical Literature. The province is also the birthplace of the spectacular Yue style of opera, which was traditionally performed solely by male actors but was switched during the 1930s when all female opera troupes became popular. Evidently the male and female opera singers of Zhejiang just couldn’t compromise! The province also has a flourishing craft industry and has become nationally renowned for several of its unique products, including the porcelain of Longchuan, silk umbrellas and tapestries from Hangzhou, Longjing or “Dragon Well” green tea from the Hangzhou district, and Huadiao (a type of rice wine) from Shaoxing. Its other celebrated attractions include Hangzhou’s West Lake, which is considered one of the most scenic places in China; the Qiantang tidal bore, a watery phenomenon of epic proportions; Mount Tiantai, the birthplace of the Tiantai sect of Buddhism; and the Tomb of Yu the Great, the supposed resting place of an ancient Chinese ruler known as Dayu or “Yu the Great”. Just remember while you’re there: they’re calling Yu great, not you great!